Sra. 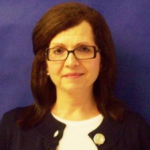 Pagano has been teaching Spanish at Divine Wisdom Catholic Academy since September 2010. Previously, she taught for 29 years at Stella Maris High School between 1981 and 2010 and she was an Adjunct Lecturer at Queens College from 1978-1981. She holds two Masters Degrees—-one in Education- Spanish (Queens College) and the second in School Building Leader (St. John’s University). Additionally, she has acquired 30 credits from various institutions. Sra. Pagano has worked at both the Douglaston and Bayside campuses and this school year she will be teaching Spanish K-Grade 5 at Douglaston.